As much as I lament the snow, we all still secretly love it. Would just be great if it were sandwiched between 60 degree days so we could get outside more-it did happen once! Valentine's Day was a joy to watch Henry celebrate. When offered the Star Wars options at Target, he wanted to stick to an old fashioned heart cut out of red paper with a message to the recipient. A traditionalist after my own heart. Adding a little homemade Darth Vader really set those hearts off though. We took advantage of a mid-winter break and enjoyed another visit to the National Gallery's Art Explorers program with a classmate. And spent every possible minute outdoors between snowstorms and snowball fights with our a new favorite pastime, basketball. One child was having a mood on this particular day. Oh, two-year-olds. Our time here in DC is likely wrapping up in the next few months, and I've created a bucket list of activities that I want to check off. I went to high tea at the Ritz-Carlton with my neighbors as well as a lovely date night with my beau at the Watergate Hotel. 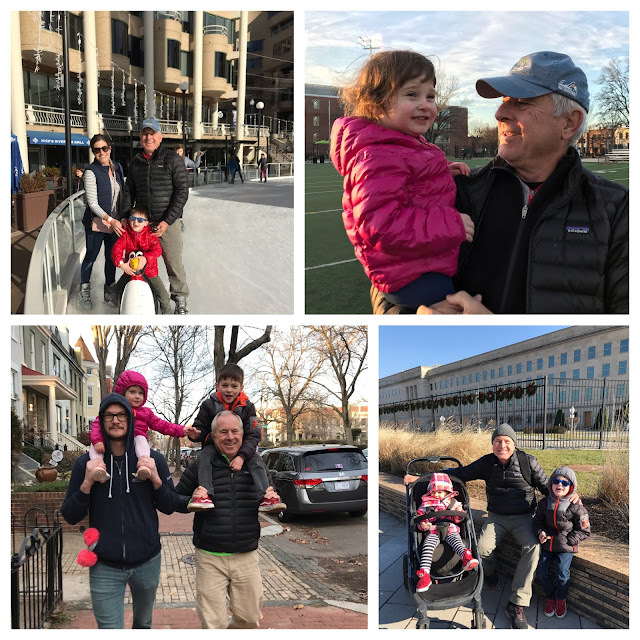 We are eagerly awaiting sunshine and those cherry blossoms signaling the arrival of spring, and much more fun outdoors during our remaining DC days. Well good golly, January has come and gone, and here we are now approaching Valentine's Day. 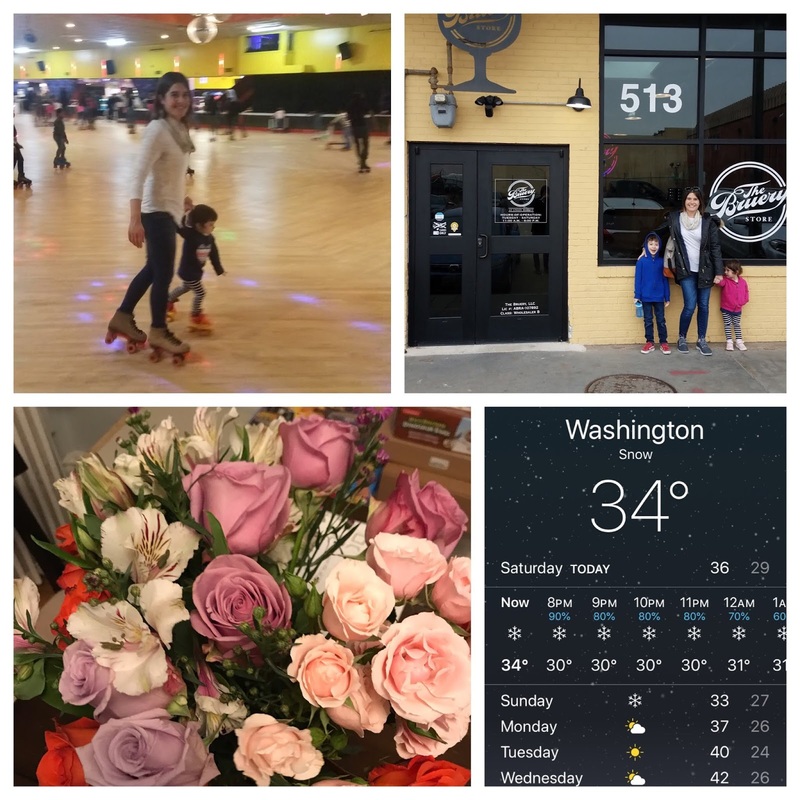 But, I quickly sum up that January was rather cold and also super fun. I celebrated my birthday with a visit to the only east coast branch of The Bruery, went roller skating, out to an amazing dinner, received a massage, and for the first time, got over a foot of snow! Kids have definitely got their fill of snow play. And I finally resigned to buying a snow shovel. 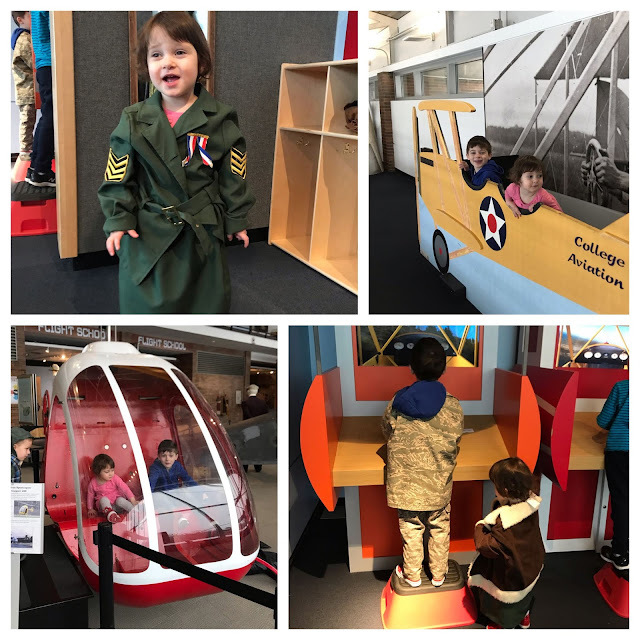 We visited the College Park Aviation Museum on a particularly dreary Saturday, and had the best time, learning about early flight achievements in the area, as well as dressing up in period wear, and experiencing quite a few hands on activities. Watching the effects of the shutdown was tough here. We had friends and neighbors impacted, as well as businesses who were suffering from the 35 days of people not having an expendable income. What was so great to see, were those who stood up and shared meals, invited people out to activities, and found creative ways to support neighbors. During this time, only the independent museums were open since the Smithsonian museums were not funded. It turned out to be a great opportunity to see the National Museum of Women in the Arts, which blew me away. 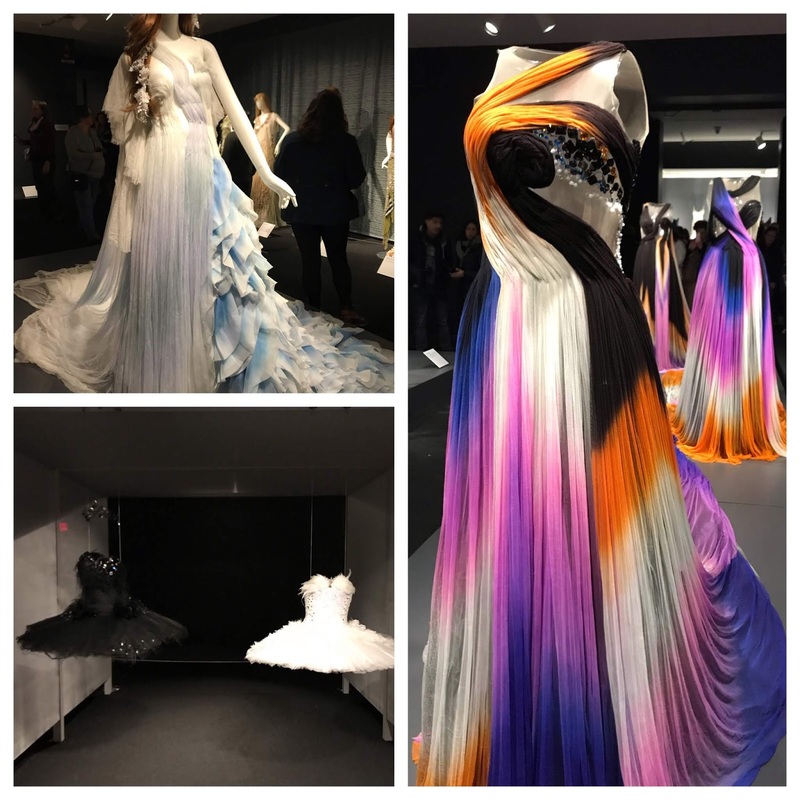 I saw the first fashion exhibit from California-based designers Rodarte, who created the costumes for Black Swan, and many beautiful gowns and pieces straight from the runway. I also saw works by Frida Kahlo and Amy Sherald, whose most famous may be Michelle Obama's portrait hanging in the National Gallery. 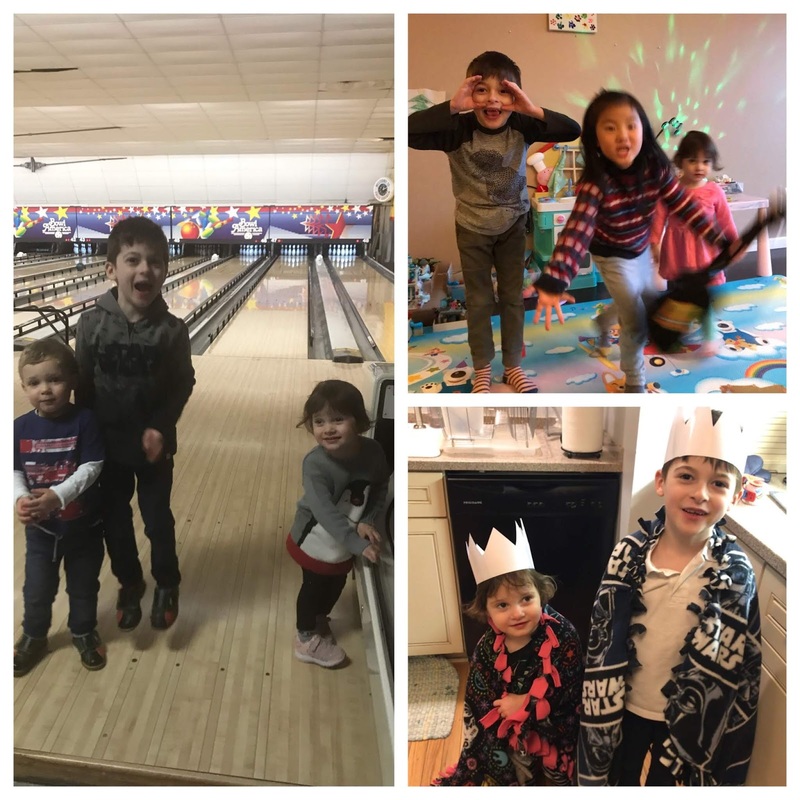 We've spent time with friends and lots of indoor play to combat the cold. After living in the shadow of the Capitol for nearly 2.5 years, I finally made it inside for a tour, which was really cool. We had a terrific tour guide, who reminded me so much of my sister-in-law, it was hard not to love her humor, stories, and excellent knowledge. If January came in like a lamb, it went out like a lion with the Polar Vortex descending on us. It wasn't as bad as places in the midwest experienced, but certainly the coldest we've ever experienced. The roads were treacherous, the wind chill frigid--I'm actually surprised school wasn't cancelled. 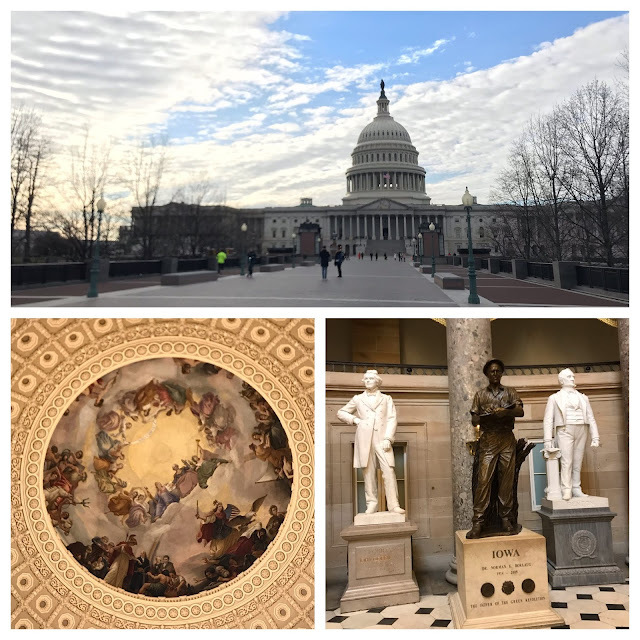 When it warmed up enough to eventually leave the house, it coincided with the government reopening, and it was really energizing to see how many people were excited to be back at their jobs-from the security guards to the docents. Sometimes the east coast gets the best of me with its lack of friendliness and angry drivers, but on that day, everyone was all smiles, and it was really heartwarming to experience. 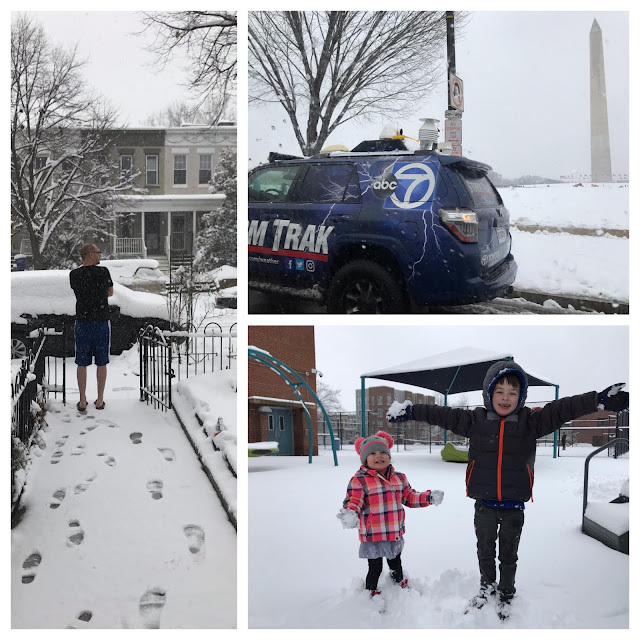 As I write this, snow is on the horizon for the weekend, but it was a GLORIOUS 70 degrees today-temperatures I don't think we've seen since early October-and we spent much of it outdoors soaking it up. December is ending on the highest of notes, following a pretty fantastic Christmas and Christmas season. We checked all the boxes for celebrating the season, including a performance of "The Nutcracker," and of course, a visit to Santa. We had visual aids to assist in the wish-relaying and Dad to help offset the unease of sitting in a stranger's lap. In keeping with the season, we also made Christmas cookies and constructed gingerbread houses with our dear friend and neighbor. 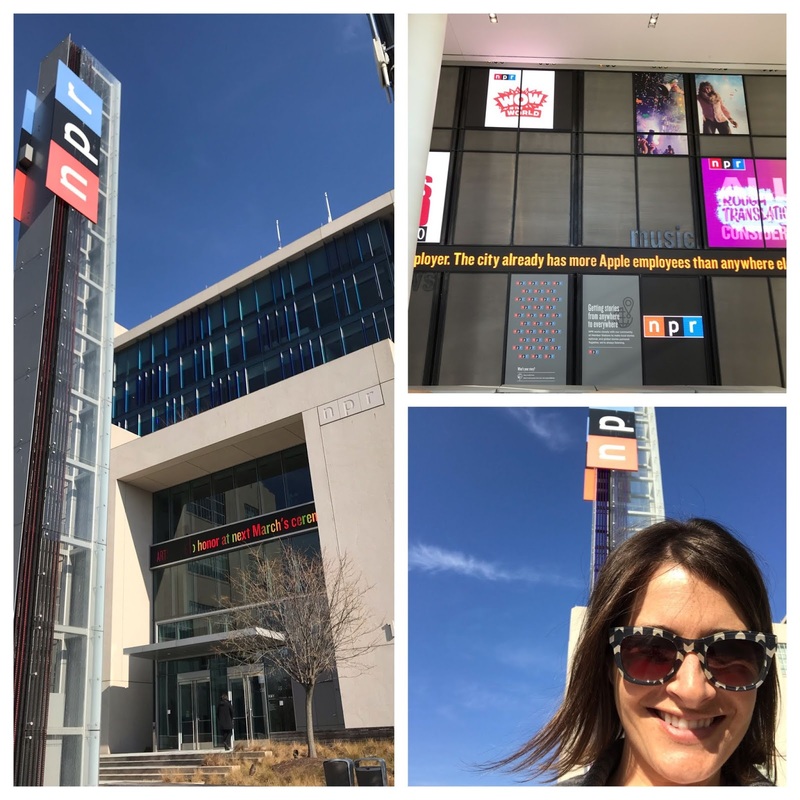 I received a private tour of NPR from a former colleague of Scott which was really cool. I've always had an interest in news, and while the newsroom was quiet that day, was still neat to see where the stories are generated and produced. 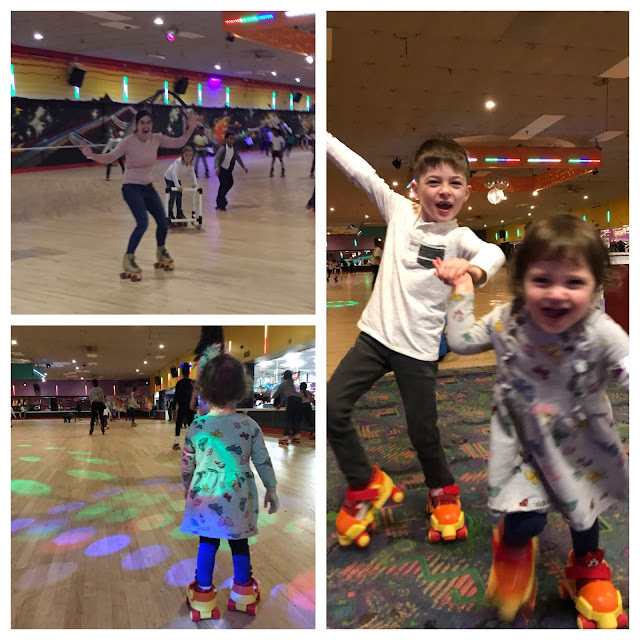 Henry's school had a PTA fundraiser at a local roller rink and the kids and I had SUCH a great experience. It was their first time and my first time in probably 25 years (OMG.) We actually cannot wait to go back and do it again. We spent Christmas Eve at our friend's home, where my children tried lamb for the first time and basically ate their weight in it. So funny to watch. 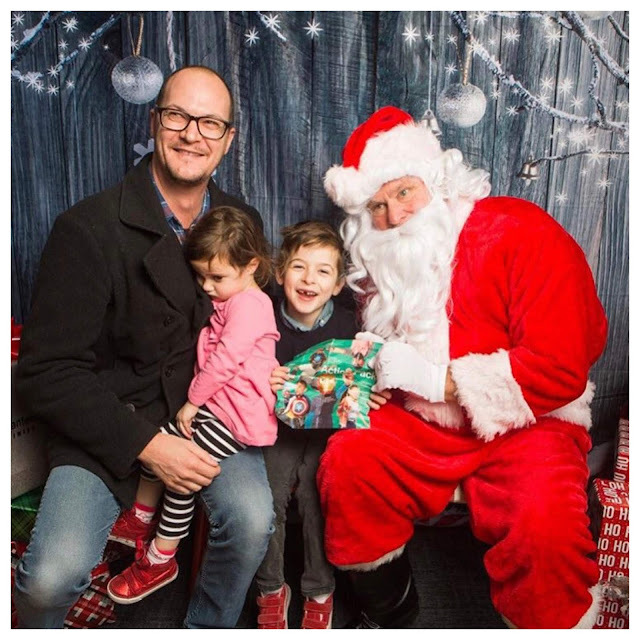 The kids had the best Christmas surprise when my Dad arrived at our door Christmas morning. 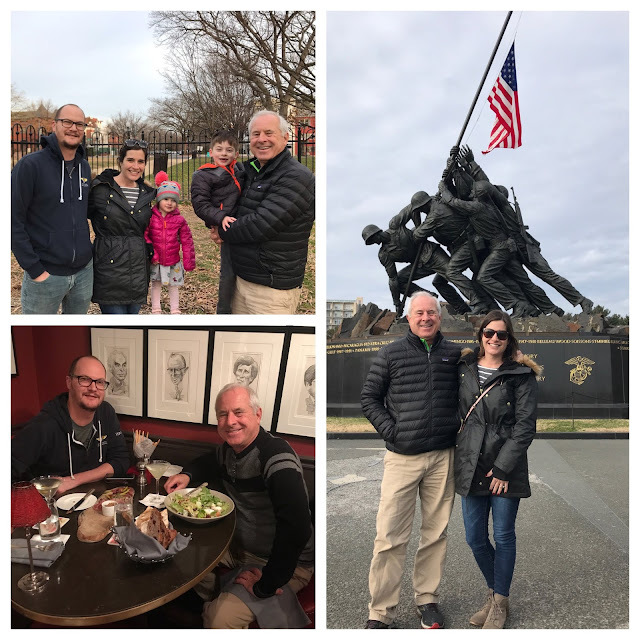 He stayed for a week and we had the best time playing, seeing new sights, revisiting a few favorites, and filling up all available moments with Grandpa Dave. 2018 was a pretty fantastic year. Cheers to a wonderful 2019 and all that it has in store! December 21 may still be a few weeks out, but the feeling of winter has certainly arrived in the east, with a snow preceding Thanksgiving and temperatures in the 30s and 40s as of late. We had a treat this Thanksgiving when my in-laws came out for a visit. It really made the holiday special, and was so hard to say goodbye. 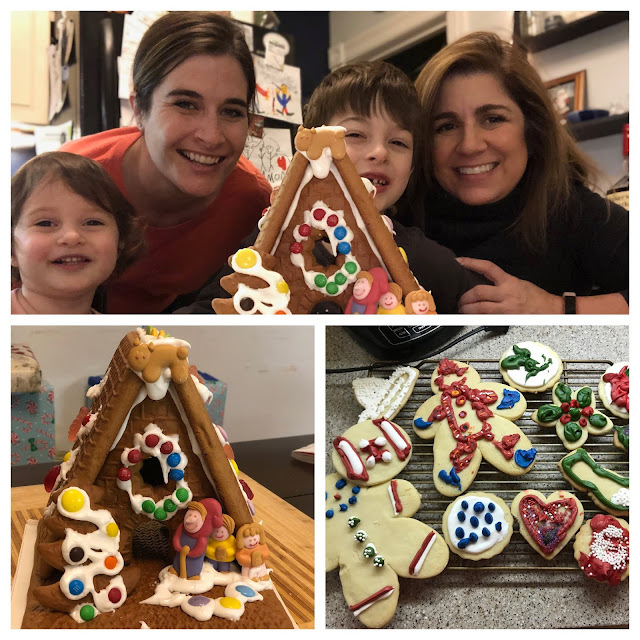 With Thanksgiving behind us, of course all the Christmas activities have begun. I took the kids and our dear friend Diana to the annual (though first for us) Norwegian Tree Lighting at Union Station. We didn't stay late enough to see the simulcast broadcast of YoYo Ma at the National Cathedral sadly, but the kids watched the tree lighting, we ate dinner at Shake Shack, and they filled their bellies with passed tins of cookies. Oh, and a Santa sighting too, so a good night by them! We also made a stop at the US Botanical Garden for their annual train display. This year's theme was train station's throughout the states. I had my fingers crossed that they'd pick Fullerton for California, but LA's Union Station and the other Santa Fe Depot won out-San Diego. Kids were stoked though watching the variety of trains running through, and of course the most famous of all, Thomas. The afternoon was only in the high 40s, so we ventured around the Capitol grounds for a bit making merriment. And finally, this weekend we picked out our Christmas tree-a tiny tree for our tiny row house! 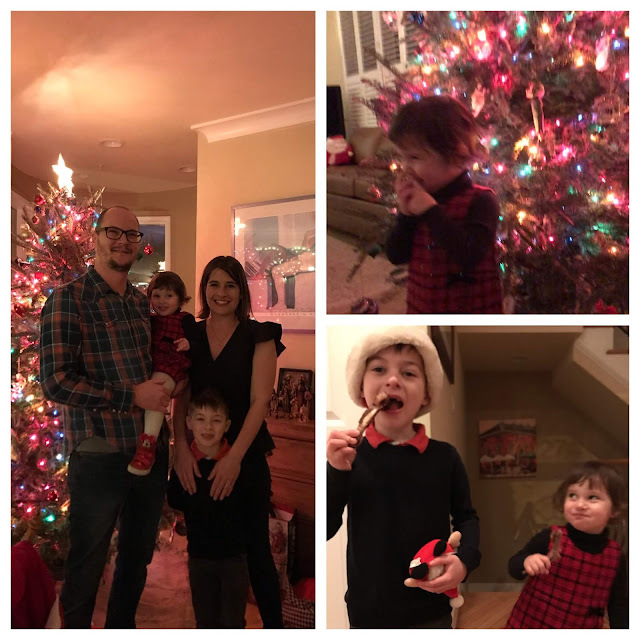 Not often is your tree the same height as your 5-year-old. Henry and I also had some nice one-on-one time at the Smithsonian American Museum of Art for their ballet day. 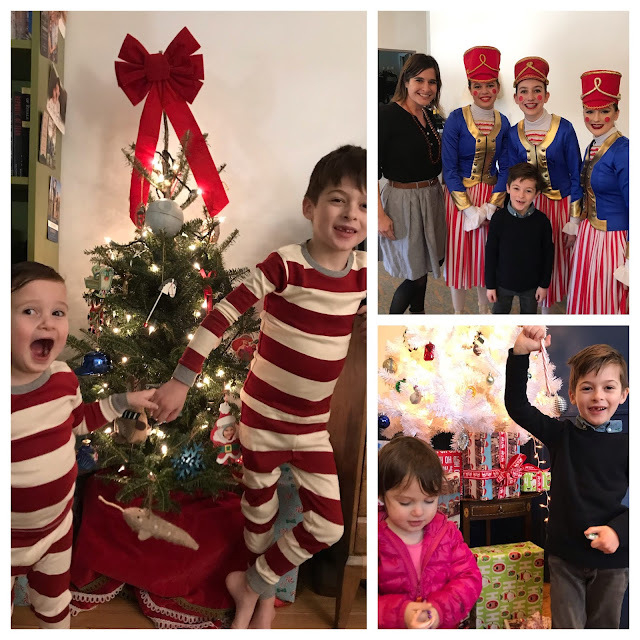 We made snowflakes, snowglobes, and while he didn't want to pose with any of the Washington Ballet's Nutcracker dancers, he did try a ballet lesson which was great to watch. And of course we paid our respects to 41. May he rest in peace. 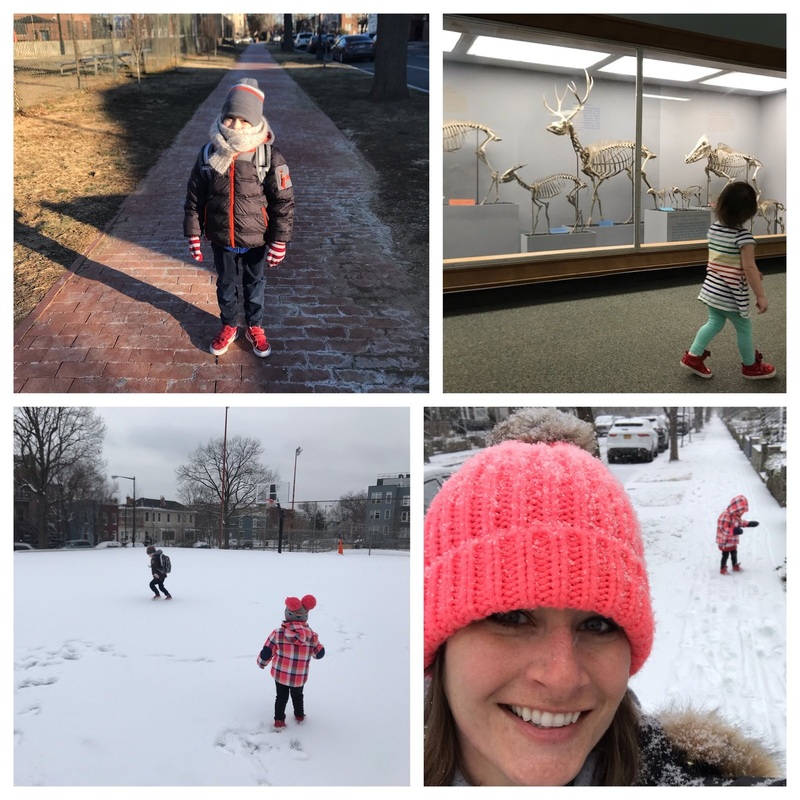 I've come to the realization that sometime in the last few months (likely when kindergarten started), we started feeling less like what I've described previously as resident tourists, and more like just residents. We have a routine with school drop off and pickup everyday but are not doing quite as much adventuring-at least daily. Yet, we are taking advantage of days off and weekends to continue to explore the area with our days numbered here. Halloween continued its tradition of fun and crazy. LOTS of kids, and probably the cutest pair of Darth Vaders I ever did see. Someone turned two and requested rainbows so a rainbow party it was. She is one feisty gal, and I am fan of her balanced likes between Darth Vader and Jack Skellington, but also rocking light up dress up shoes throughout the house and loving dresses. We've lost a pretty big tooth, mastered several types of monkey bars, and continue to celebrate Halloween well into the Thanksgiving season. I'm a proud mom. We explored the Renwick Gallery, a smaller and lesser known Smithsonian art museum, with really cool conceptual and interactive 3D pieces. 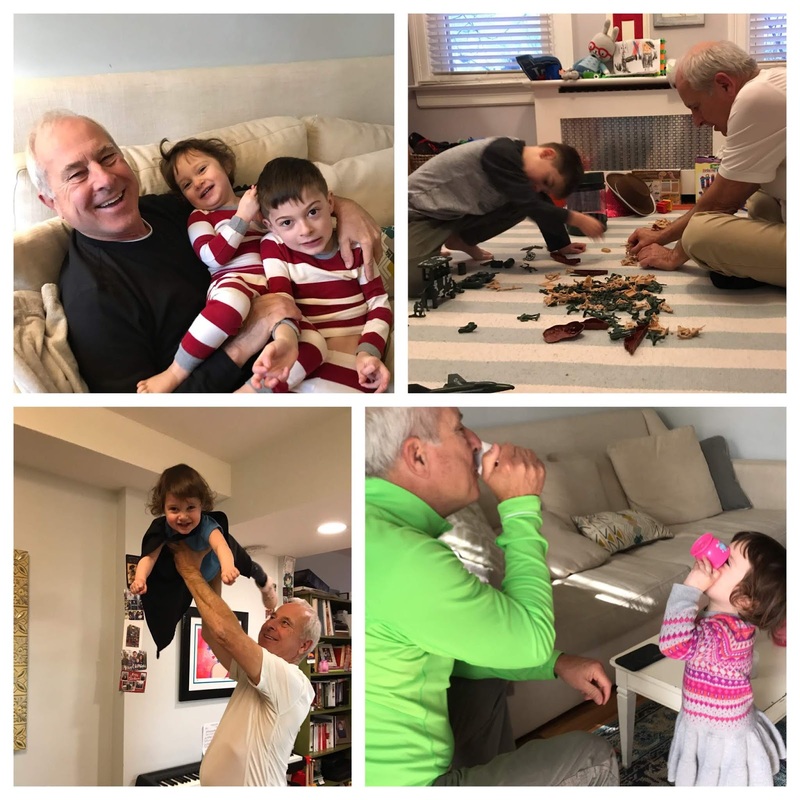 We are gearing up for a visit from a set of Grandparents for Thanksgiving which should make things extra festive this year, too. Fall is just forking awesome in these parts. We've enjoyed fall festivals at schools, at pumpkin patches-both as a family and school field trips. And I've lived out a dream of having a kids' Halloween party complete with corny games and festive foods. And now the Dodgers are the NLCS Champs and again battling it out in the World Series! It's a good season! Apparently when your child starts kindergarten and you move to a new house, and manage a property 3,000 miles away, life moves at about 120 miles per hour. 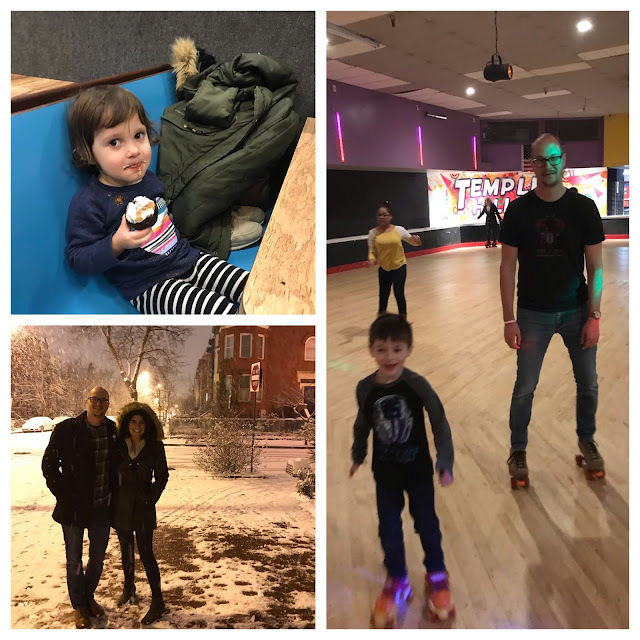 Before summer officially closed its doors, we had a lemonade stand with our neighbors, visited a vintage amusement park that's been reincarnated, celebrated our 10th wedding anniversary, moved into a new 100-year-old (temporary) rowhouse, and someone turned FIVE years old. To close out September we watched "Return of the Jedi" on the lawn of the Library of Congress, where a few other friends dropped by, and toasted to our second anniversary of living here. It's been a busy, emotional and rather crazy month! Bring on fall-we are ready for you Halloween!